All-Pro Carpet Care provides carpet protector service to make your home or office stain free for a longer time. Carpets face lots of wear and tear from foot traffic to spills and stains over the years. If your carpet has no protectors, the carpet fibers will wear out sooner, and leaving the carpet looking dull by losing its aesthetic appeal. 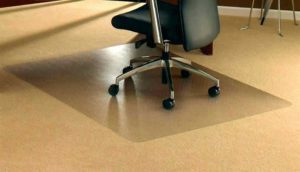 In order to keep the carpet looking new and fresh, the best thing you can do is apply a protector over your carpet and it is recommended by most of the manufacturers and experts. Although, a carpet stain protection treatment will only last so long. This means that you should have an extra carpet stain protection treatment added to your carpet every one to two years. Here we have shared top 3 reasons to have carpet protectors. Ugly spots can spoil the beauty of the carpet. If your carpet is unprotected it will not repel spillage. Having carpet protectors able to remove spots and spills more effectively. Additionally, this can avoid permanent staining and reduces the chance of a permanent stain. The soils on the traffic area are very abrasive. This destroying soil can easily bond to an unprotected carpet. Applying carpet protector will expand the life of the carpet. So, when you will vacuum your carpet the soils will be removed from the carpet fiber easily. The simpler to eliminate the spot, the less cleaning solution you need to use. The less agitation will have to use, and the less time consumption. Most of the spots can be cleaned just using water.